This article discusses what you need to do to care for yourself after you leave the hospital. You had minimally invasive coronary artery bypass surgery on one or more of your coronary arteries. Your surgeon used an artery from your chest to create a detour, or bypass, around arteries that were blocked and could not bring blood to your heart. A 3- to 5-inch-long (7.5 to 12.5 centimeters) cut (incision) was made in the left part of your chest between your ribs. This allowed your doctor to reach your heart. You may be able to leave the hospital 2 or 3 days after surgery. You may also be able to return to normal activities after 2 or 3 weeks. Have pain in the chest area around the wound. You may want to have someone stay with you in your home for the first week. Do the breathing exercises you learned in the hospital for the first 1 to 2 weeks. Shower every day, washing your incision gently with soap and water. DO NOT swim, soak in a hot tub, or take baths until your incision is completely healed. Follow a heart-healthy diet. If you are feeling depressed, talk with your family and friends. Ask your health care provider about getting help from a counselor. DO NOT stop taking any medicine without talking with your provider. Your provider may recommend antiplatelet drugs (blood thinners) -- such as aspirin, clopidogrel (Plavix), prasugrel (Effient), or ticagrelor (Brilinta) -- to help keep your artery graft open. If you are taking a blood thinner such as warfarin (Coumadin), you may have extra blood tests to make sure your dose is correct. Stay active during your recovery, but start slowly. Ask your provider how active you should be. Walking is a good exercise after surgery. DO NOT worry about how fast you walk. Take it slow. Light household chores, such as setting the table and folding clothes should be OK.
Stop if you feel short of breath, dizzy, or any pain in your chest. Avoid any activity or exercise that causes pulling or pain across your chest, such as using a rowing machine or weight lifting. Keep your incision area protected from the sun to avoid sunburn. 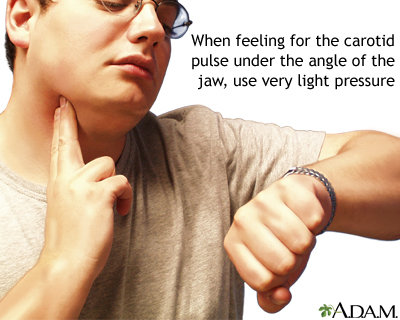 Avoid other activities in which you need to keep your arms above your shoulders for any period of time. DO NOT drive. 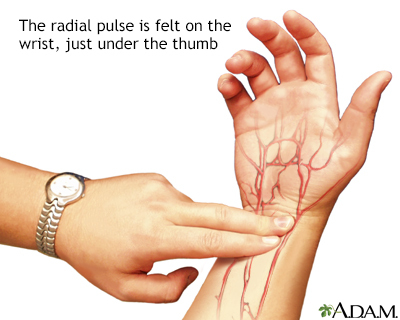 The twisting involved in turning the steering wheel may pull on your incision. You may be referred to a cardiac rehabilitation program. You will get information and counseling about activity, diet, and exercise. Your wound is red or swelling, it has opened, or there is more drainage coming from it. Fihn SD, Blankenship JC, Alerxander KP, et al. 2014 ACC/AHA/AATS/PCNA/SCAI/STS focused update of the guideline for the diagnosis and management of patients with stable ischemic heart disease: a report of the American College of Cardiology/American Heart Association Task Force on practice guidelines, and the American Association for Thoracic Surgery, Preventive Cardiovascular Nurses Association, Society for Cardiovascular Angiography and Interventions, and Society of Thoracic Surgeons. Circulation. 2014;130(19):1749-1767. PMID: 25070666 www.ncbi.nlm.nih.gov/pubmed/25070666. Fihn SD, Gardin JM, Abrams J, et al. 2012 ACCF/AHA/ACP/AATS/PCNA/SCAI/STS guideline for the diagnosis and management of patients with stable ischemic heart disease: executive summary: a report of the American College of Cardiology Foundation/American Heart Association Task Force on practice guidelines, and the American College of Physicians, American Association for Thoracic Surgery, Preventive Cardiovascular Nurses Association, Society for Cardiovascular Angiography and Interventions, and Society of Thoracic Surgeons. Circulation. 2012;126(25):3097-3137. PMID: 23166210 www.ncbi.nlm.nih.gov/pubmed/23166210. Omer S, Cornwell LD, Bakaeen FG. Acquired heart disease. In: Townsend CM Jr, Beauchamp RD, Evers BM, Mattox KL, eds. Sabiston Textbook of Surgery. 20th ed. Philadelphia, PA: Elsevier; 2017:chap 59. Minimally invasive heart bypass surgery is done without stopping the heart and putting the patient on a heart-lung machine. A 3 to 5 inch (8 to 13 cm) incision is made in the left part of the chest between the ribs. This incision is much less traumatic than the traditional heart bypass surgery incision which separates the breast bone. 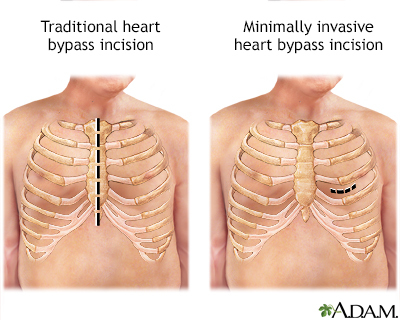 Minimally invasive heart bypass surgery allows the patient less pain and a faster recovery.